Do you struggle with oily skin? Do you have uneven skin tone? What about a dull, dry complexion? 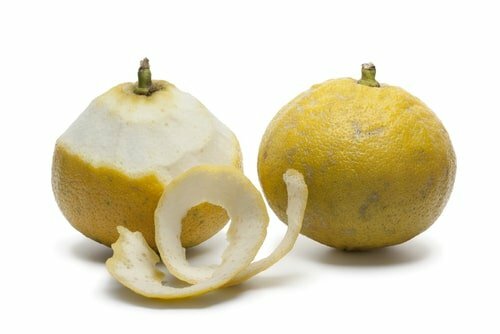 The oil from the peel of the bergamot fruit can help. On top of that, it’s enlivening citrus scent is known in aromatherapy to help ease the mind. If you have sensitive or oily skin, a skin care formula with bergamot may be just what you need to reveal more radiant skin. The tree itself is similar to a regular lemon tree, and grows to about nine feet, with long, oval green leaves and white flowers. The fruit is small and round, and turns yellow when ripe. Like most citrus plants, it likes the warmer weather, and is native to Southeast Asia, though most bergamot oranges are now produced in Italy. The oil is extracted from the rind and widely used in the perfume industry, as well as in Earl Grey tea. Bergamot is a favorite of aromatherapists, as it has a clean and refreshing citrus fragrance believed to be helpful to calm the mind. It’s also used during massage therapy and in baths to provide these calming benefits. More recent scientific research suggests, when taken internally, bergamot may help lower cholesterol. In one study, for example, patients who consumed the extract for 30 days experienced reduced levels of total cholesterol, LDL “bad” cholesterol, and triglycerides, with increased levels of HDL “good” cholesterol. Bergamot is a natural cleanser, so adding it to any skin care formula helps remove dirt and impurities—no need for potentially dangerous, chemical preservatives. In addition, this oil is great for those with oily skin, as it helps to unclog pores. Bergamot has an added property of helping to balance oily skin. Bergamot combines easily with other essential oils, making it a no-brainer for natural skin care formulas, especially because of its refreshing scent. The oil does have a slight tendency to increase your skin’s photosensitivity, though, so always wear sunscreen when using it. I’ve added bergamot oil to two of our facial oils for its oily skin, sensitive skin and overall skin-balancing properties, as well as its ability to even out skin tone. The fact that it provides a nice scent is a great bonus! Do you use bergamot in other ways? Please share your tips. I read that bergamot oil will help with crepey skin but if [email protected] pure bergamot is used, to mix it with something like jojoba to prevent irritation. However, this info bit didn’t say what percentages to mix. Do you know anything about this and/or do you think the crepey skin claim is true? Yes, it’s very important to dilute essential oils if you’re working with them directly. There are a lot of charts online you can look at for different dilutions depending on what you’re working with. I think a 5% dilution is the highest I would suggest with the bergamot because it’s really strong but play around with what works for you. Hi, I’d like to know exactly how much bergamot oil do I add to my facial oils and can I add it to my day/night cream?